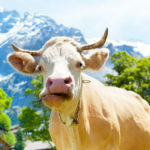 This vote, also known as the Self-determination initiative, goes before Swiss voters on Sunday 25 November 2019. It aims to fundamentally change the way Switzerland deals with conflicts between its constitution and the nation’s web of international agreements. 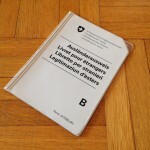 If accepted, Swiss constitutional law would trump any conflicting international law or agreement. This would mean that if a referendum changed the constitution in a way that brought it into conflict with an international agreement, the Swiss constitution would prevail. The conflicting international agreement would then either need to be approved by referendum or be renegotiated with the relevant countries. If that was not possible, Switzerland would have to withdraw from it. Currently, conflicts are dealt with by passing new legislation or via an ad hoc referendum, a system which offers more room for manoeuvre than the initiative would allow. If the vote is accepted, existing international agreements will need to be reviewed and some significant ones will be affected. 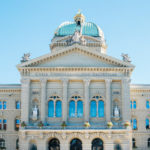 The initiative’s supporters argue that the change is necessary to reinforce Switzerland’s unique system of direct democracy, which they argue ensures Switzerland’s prosperity, freedom and security. They think these rights would allow citizens to maintain control of their legal system, lives, country and future. A majority of Switzerland’s National Council are against it – 129 voted against and 68 for it. They argue the initiative threatens international agreements, and along with them, the nation’s prosperity, stability, security and protection of human rights. They also think voters already get a say on important international agreements and that this initiative will make the system rigid and only weaken the nation’s position compared to other countries. The Federal Council believes international agreements bring reliability and stability, protecting the population and economy, and that the initiative could be viewed as a mechanism for breaking commitments. In addition, some opponents says the proposed change is light on detail and are concerned this will create uncertainty and instability if the initiative is accepted. A poll published a week ago put the percentage voting “yes” at 40%, with 2% undecided. Highest support for the initiative was in Italian-speaking Switzerland (57%), followed by German- (43%) and French-speaking Switzerland (36%). The poll was run by Tamedia between 8 and 9 November 2019 and polled 13,298 voters.